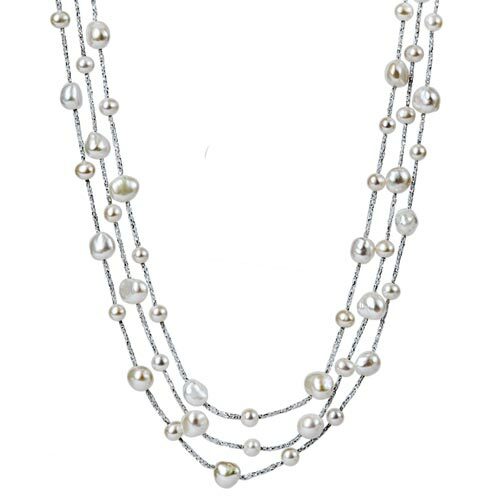 Sterling silver freshwater cultured pearl necklace has three layers of round white pearls. Pearls range in size from 4mm to 7mm. Necklace length: 18in. Imported from Canada.